When I hit my late 30s, I started noticing fine lines, wrinkles and dark spots appearing what seemed like overnight. I didn’t do a very good job at taking care of my skin back then and I started to see the results of my lack of effort. When I finally decided to get proactive in my skin care regimen, the most confusing part of the entire process was knowing what products worked and which ones I really needed. I remember standing in the beauty aisle overwhelmed and confused. There were creams, lotions, and potions for everything! What I wanted was a skin care routine designed just for me and I needed the right products to get the job done. And guess what? There’s a tool that does just that. Have you heard of the Olay Skin Advisor Tool? It’s very simple to use and actually kind of fun. 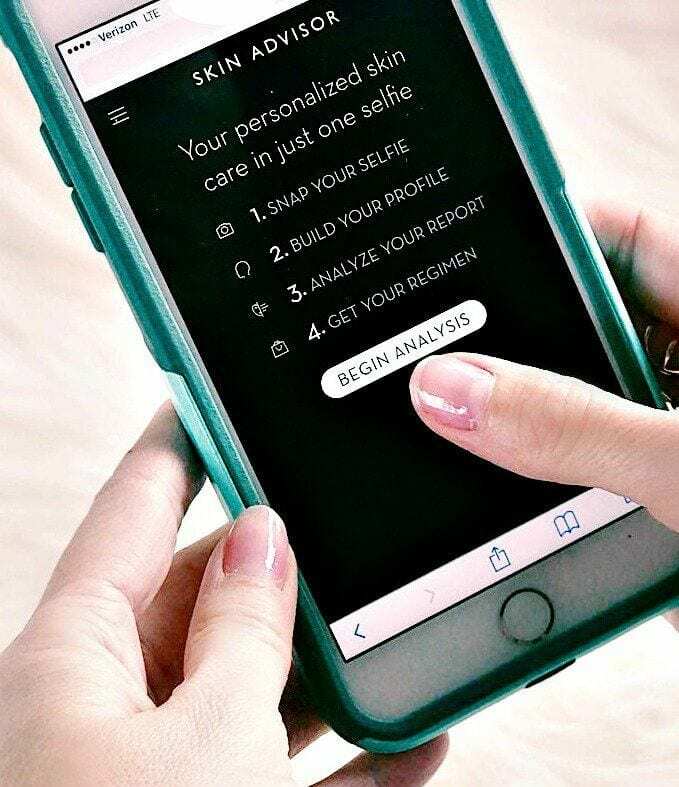 It lets you see your ‘skin age’ and then gives you a personalized skin care regimen. Would you like to know what my skin age is and what products the tool recommended I use? I opened the Olay Skin Advisor Tool on my phone and took a selfie. They recommend you pull your hair back, remove makeup and glasses if you wear them. Use the front-facing camera and try to take your picture with some natural light to minimize shadows. Also, don’t smile! They need a completely neutral expression on your face in order to calculate your skin age best. 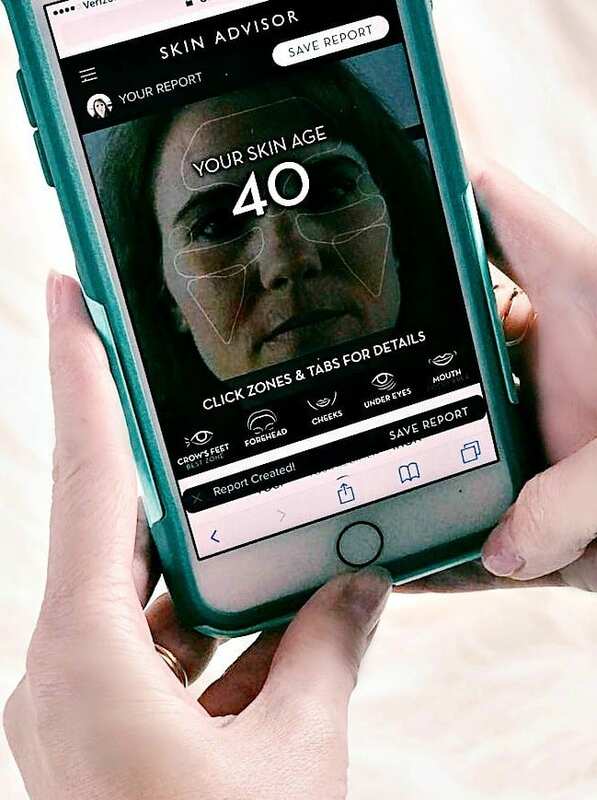 After answering a few questions about your skin concerns and your current skin care regimen, they calculate your skin age. My skin age is 40. Not bad. (Although I was secretly hoping for somewhere in the late 30s.) My actual age is 42, so I’ll take it! I really like how the tool tells you what your best zone is and what area(s) you should focus on the most. I definitely need help in the eye area, so I’ll be stepping up my game when it comes to eye cream and being gentler when I take my eye makeup off. It also gave me a list of products that are available at Sam’s Club to help with my issues which include sagging skin (oh joy), fine lines, wrinkles and dark circles under my eyes. Here are two of the products recommended for my skin care routine. Are you ready to try it now? 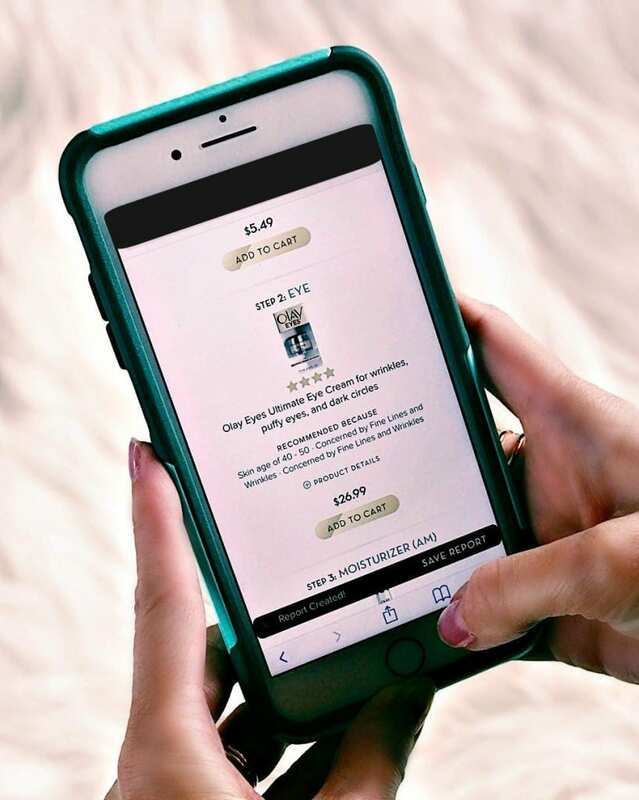 Just head to this link (it works best on your mobile phone) and snap a selfie. In a few seconds, you’ll know your skin age. what areas need some help and have a list of products just for your skin care needs. Sound good? Feel free to share your results in the comments below! Come on, don’t be shy. Previous articleMy Experience with the BodyBoss Fitness Guide + No More Lame Excuses! What a neat idea! I will have to try this. 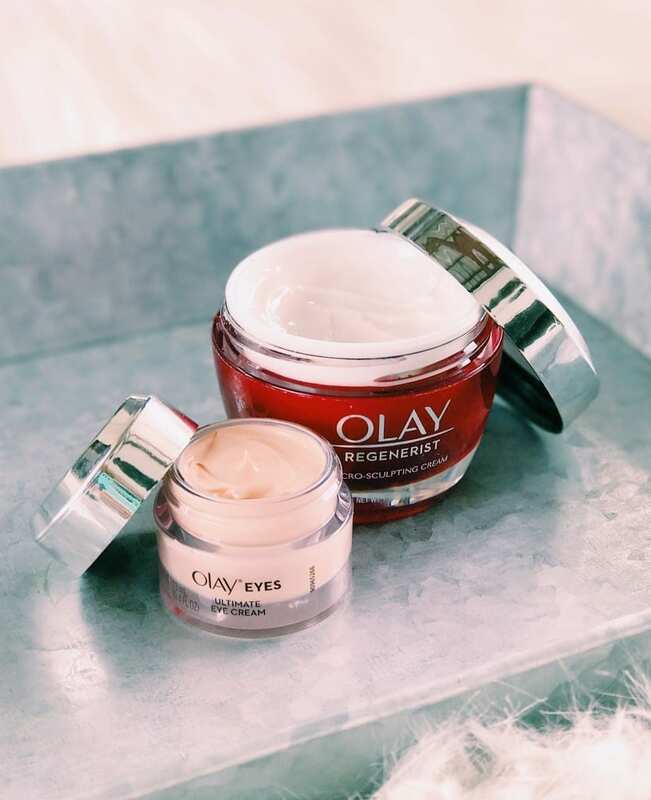 I’ve been using Olay products for longer than I’d like to admit, and I’ve always been very happy with them. I need to check out this app and see if they recommend anything new or different from my regular routine. I love Olay products! They work like a charm and they don’t cost an arm and a leg. Olay is such a great product. I’ve been using it for years now. I agree with you as this really take care of the fine lines. Love Olay.